Join us in the days before Passover, the story of Jewish liberation and exodus, for an important conversation on the injustice and oppression that exists today. Professor Dehlia Umunna, Harvard Law School Professor and former public defender, will be joining us to address the effects of mass incarceration on individuals and communities, the ongoing conversation on race and justice in America, and the state of the movement for criminal justice reform in Massachusetts. 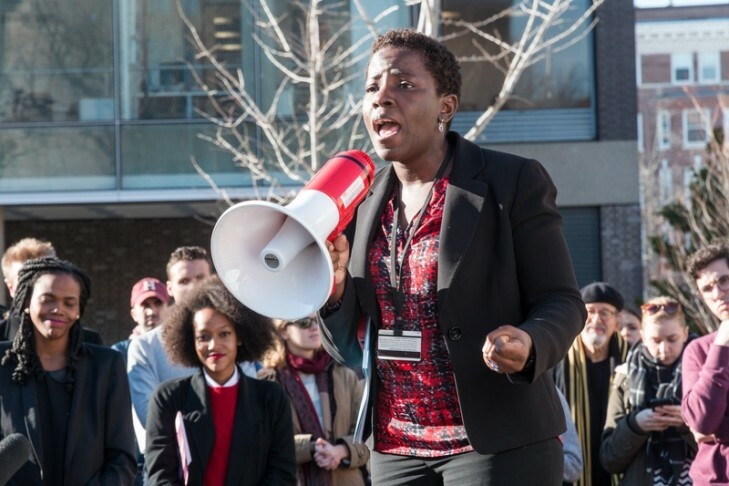 Drawing on ten years of service as a senior public defender in the District of Columbia, Prof. Umunna, who is deputy director of the Criminal Justice Institute at Harvard, teaches indigent defense to law students, studies the nature and effects of criminal justice, and advocates for change. Tzedek Salons bring young Jews, in their 20-30’s, and social activists together with important policy makers, attorneys, and academics for casual conversations at local bars to explore cutting edge issues facing our society and state today. JALSA Tzedek Salon with Rachel Heller on Affordable Housing: How Do We Create and Maintain It In Our State? JALSA Benefit Concert: Come Rock with JALSA and JustUs, first stop on its World Tour!